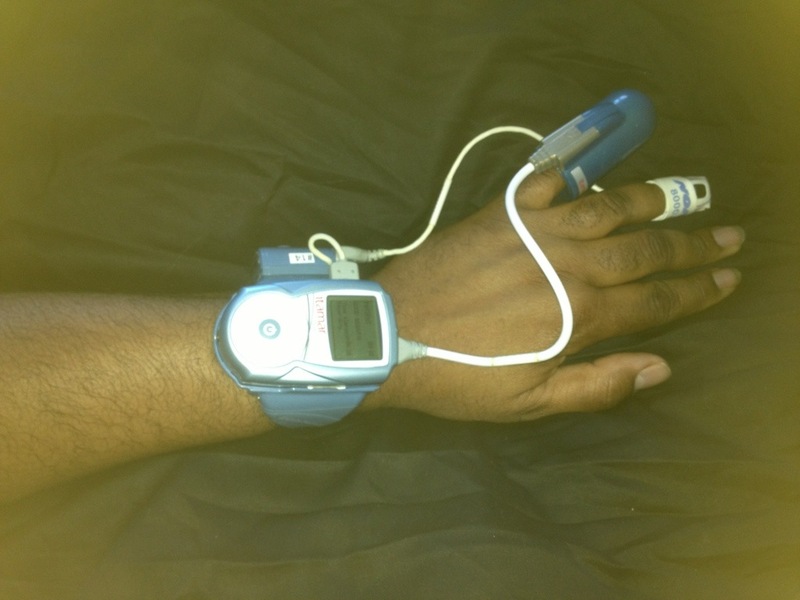 This was strapped to my wrist Sunday night has I slept. It’s some kind of device that measures you sleeping to see if you have sleep apnea. It didn’t bother me too much; I pretty much passed out as soon as I strapped it on. I won’t know the results for two weeks though, so let the waiting game begin. **Update** So apparently I did something wrong and the sleep gadget didn’t record any information while I slept. So I have to wait until January in order to do it over again. Blah….